Since 2001, AvePoint has received numerous awards and honors for its innovative products and services. Companies named in 2018 were based on how they help customers solve business problems, reviews of product news for the most current offerings, widely adopted and revered technology, as well as technology on the cusp of greatness. AvePoint won the 2017 Microsoft Partner of the Year Award for Public Sector: Microsoft CityNext for its work on AvePoint Citizen Services. AvePoint Citizen Services enables government agencies or citizen-support non-government organizations (NGOs) to automate case management and incident reporting, which allows field officers, operational centers, and the citizens they support to input and manage requests from any device, anywhere, at any time. Now in its 17th year, the KMWorld “100 Companies That Matter in Knowledge Management” list is compiled by knowledge management practitioners, theorists, analysts, vendors, customers, and colleagues. Selected organizations in 2017 were recognized for having traits including innovation, ingenuity, resourcefulness, usefulness, collaboration, community, and expertise while also helping their customers attain such qualities. AvePoint Public Sector, a wholly owned subsidiary of AvePoint, Inc., has been named the Microsoft 2016 Federal Solution Partner of the Year. The U.S. Public Sector Partner of the Year awards highlight and recognize excellence and achievement among Microsoft partners who are transforming organizations via the cloud and producing exceptional results for U.S. Government, Education, and Health & Life Sciences organizations. AvePoint has won the 2016 Microsoft US Central Cloud Partner of the Year Award. The company was honored among a field of top Microsoft partners from across the country for demonstrating excellence in innovation and implementation of customer solutions based on Microsoft technology. Awards were presented in multiple categories, with winners chosen from Microsoft’s group of partners from across the US. AvePoint’s US Central region team was recognized for integrating outstanding cloud and hybrid software solutions with strong services expertise as US Central Cloud Partner of the Year. 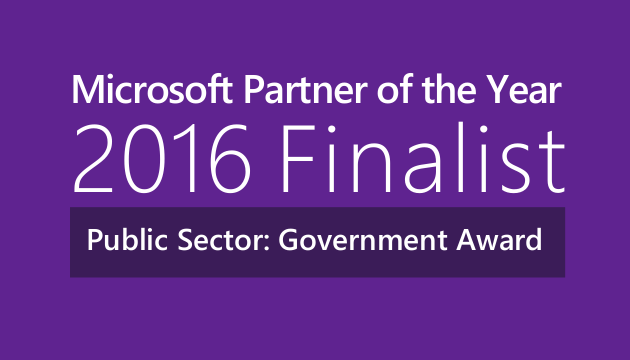 AvePoint’s finalist acknowledgement for the 2016 Microsoft Partner of Year Award for Public Sector – Government is due to its ability to provide innovative and unique products, solutions, and services to government organizations, including federal, state, and local agencies. 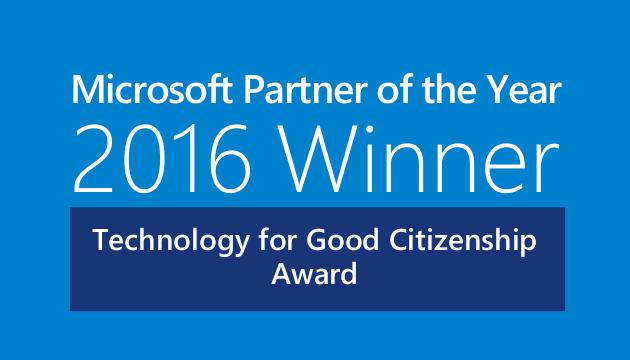 AvePoint has won the 2016 Microsoft Partner of the Year Award in Technology for Good Citizenship due to its work with Microsoft and the International Organization for Migrations (IOM) to develop 6Degree.org, the first-ever Azure-based crowd funding portal to help human trafficking victims in ASEAN countries. 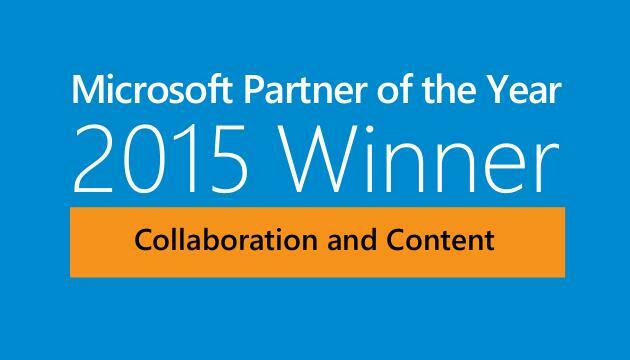 Its third consecutive years Microsoft Partner of the Year Award – including wins in 2015 for Collaboration and Content and 2014 for Public Safety and National Security – AvePoint continues to be recognized for excellence in innovation and implementation of solutions based on Microsoft technology. The KM Promise Award is given to an organization that delivers on the promise to its customers by providing innovative technology solutions for implementing and integrating knowledge management practices into their business processes. The organization demonstrates how it goes beyond simply delivering technology to working with clients to ensure that both the technology and knowledge processes are embedded into the work processes. 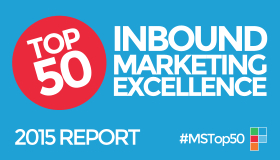 Fifty Five and Five’s “Top 50 in Inbound Marketing Excellence” report for Office 365 and SharePoint Product Vendorsprovides detailed comment on the efforts of all partners’ websites, blogs, and social media presence in order to determine how well they are attracting and engaging audiences with their online content. AvePoint ranked #4 overall as well as #2 for top Twitter presence among fellow product vendors. The Inc. 500|5000 is an exclusive ranking of the United States of America’s fastest-growing private companies. AvePoint joins brands such as Fitbit, Smashburger, and Planet Fitness on the 2015 edition. This underscores AvePoint’s continued growth and commitment to enabling enterprise collaboration by connecting people across platforms and devices. AvePoint was chosen as winner of the 2015 GTRA ConVurge Tech Award for its Citizen Connect Platform and its vision, innovation, and remarkable accomplishments improve efficiency, the delivery of government services, citizen engagement, information sharing, and national security. AvePoint was chosen as winner of the 2015 Microsoft Partner of the Year Award in Collaboration and Content due to its commitment to providing its comprehensive, pre-built, end-to-end DocAve Software Platform for the entire range of SharePoint management, optimization, and productivity - including on premises, cloud, and hybrid deployments. 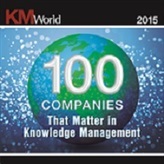 AvePoint has been named to KMWorld magazine’s “100 Companies That Matter in Knowledge Management” in 2015 for the sixth consecutive year. Now in its 15th year, the KMWorld “100 Companies That Matter in Knowledge Management” list is compiled by knowledge management practitioners, theorists, analysts, vendors, customers, and colleagues. Those selected for the list are recognized for showing an unwavering commitment to delivering world-class technology that meets business needs of organizations worldwide. AvePoint won the 2014 Disability-smart award in the category of Products and Services, B2B for its compliance solutions. The awards were presented to organizations that exhibit leading practice within the ten criteria of Business Disability Forum’s (BDF) Disability Standard. The Disability Standard represents best practices and provides guidance in specific areas to support businesses in their journey to becoming disability-smart by improving performance for disabled customers, employees, and stakeholders. The judging panel included leading experts in the area of disability, representatives from BDF’s Member and Partner organizations, and disabled opinion leaders. AvePoint has been named to Deloitte’s Technology Fast 500™ for the fifth year. The 2014 Technology Fast 500 ™ is a ranking of the 500 fastest growing technology, media, telecommunications, life sciences, and clean technology companies in North America from 2009 to 2013. AvePoint grew 329 percent during that period. AvePoint's DocAve 6 Platform has been named a "KMWorld 2014 Trend-Setting Product". This is the fourth year in a row an AvePoint product has made the list. This year’s list was whittled down from more than 650 offerings from vendors. To be selected, a product needed to demonstrate a clearly identifiable technology breakthrough that served the vendors’ full spectrum of constituencies – especially their customers. AvePoint Public Sector was chosen as winner of the 2014 Microsoft Partner of the Year Award Public Safety and National Security due to its work with all branches of the country's national security agencies to protect, manage, and optimize their mission-critical, highly sensitive Microsoft SharePoint deployments. Through AvePoint Public Sector, agencies are able to diminish security breaches, minimize data spillage, control Personally Identifiable Information (PII), satisfy all e-Government requirements, streamline cross domain management, and empower their mobile workforce. AvePoint Compliance Guardian has been named a bronze winner in the Best New Product of the Year - Enterprise category in the 2013 Best in Biz Awards, the only independent business awards program judged by members of the press and industry analysts. The third annual Best in Biz Awards program was the most competitive in its history, with more than 500 entries received from a wide array of public and private companies of all sizes and industries across the U.S. and Canada. AvePoint's DocAve Software Platform was named a silver medal winner of the "2013 Community Choice Awards" in the Best SharePoint category by Penton Media's Windows IT Pro magazine. According to Windows IT Pro, the 2013 Community Choice Awards represent the cream of the cop in the various markets the magazine covers. AvePoint has been named to Deloitte's Technology Fast 500(TM) for the fourth year. The 2013 Technology Fast 500(TM) is a ranking of the 500 fastest growing technology, media, telecommunications, life sciences, and clean technology companies in North America from 2008 to 2012. AvePoint, the leader in governance, compliance, and management solutions for social enterprise collaboration platforms, announced today it has been named an Inc. magazine Inc. Hire Power Awards winner for the second consecutive year. AvePoint increased US-based jobs by 43 percent from January 1, 2012 to June 30, 2013, placing it among the top five private business job creators within the state of New Jersey. 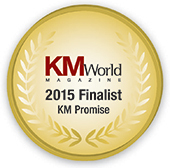 AvePoint has been nominated for the 2013 KM Promise Award for its DocAve 6 Software Platform. The KM Promise Award is given to an organization that best delivers on its promise to customer that its technology is the best knowledge management solution available, and goes beyond simply selling software by working with clients to ensure that both the technology and knowledge processes are imbedded into the process. AvePoint's DocAve Online has been named a "KMWorld 2013 Trend-Setting Product". This is the third year in a row an AvePoint product has made the list. This year's list was whittled down from more than 700 offerings from approximately 300 vendors. The Golden Bridge Awards are an annual industry recognition program of the achievements and positive contributions of organizations and businesses worldwide. AvePoint's DocAve 6 Software Platform was chosen as a bronze award winner for Collaboration and Web 2.0 tools - Innovations. Inc. magazine ranked AvePoint in the Inc. 500|5000 list for the fourth consecutive year after AvePoint posted a three-year sales growth of 241% percent from 2009-2012. This list represents the most comprehensive look at the most important segment of the economy – America’s independent entrepreneurs. AvePoint joins Zappos, Under Armour, and Microsoft among the prominent brands featured on this year’s list. Awards are given to recognize government and industry IT leaders whose vision, innovation, and remarkable accomplishments have improved efficiency, the delivery of government services, citizen engagement, information sharing, and national security. Awards recognize best-in-class solutions built utilizing Microsoft technology; AvePoint was named a finalist for Collaboration and Content Partner of the Year, Office/SharePoint App Developer Partner of the Year, and Public Sector Partner of the Year – Public Safety/National Security. AvePoint's DocAve 6 Software Platform beats three other finalists in the SharePoint category to win the Best of TechEd award. AvePoint has been selected to KMWorld magazine’s “100 Companies That Matter in Knowledge Management”, a list compiled by knowledge management practitioners, theorists, analysts, vendors, their customers, and colleagues. This is the fourth consecutive year that AvePoint has made the list. AvePoint’s DocAve Software Platform was selected as a Redmond magazine Third-Party Reader’s Choice Award winner, as voted on by Redmond magazine’s readership. AvePoint was selected as a silver medal winner for Favorite SharePoint Product or Service. Inc. Magazine today honored AvePoint in its inaugural Inc. Hire Power Awards, recognizing private businesses that have generated the most jobs in the past three years. AvePoint increased US-based jobs by 113 percent from 2008 to 2011 in the United States, placing it among the top 10 private business job creators within the state of New Jersey. From 2011 to 2012 alone, the number of US-based jobs generated by AvePoint has risen by 47 percent, outpacing AvePoint’s global employee growth by 16 percent. AvePoint's DocAve Software Platform was named as a gold medal winner of the “2012 Community Choice Awards” in the Best SharePoint Product category by Penton Media’s Windows IT Pro magazine. AvePoint’s products also won awards in four additional categories. Deloitte LLP named AvePoint, leader in governance, compliance and management solutions for social enterprise collaboration platforms, #106 on its 2012 Technology Fast 500™ List, which ranks the 500 fastest growing technology, media, telecommunications, life sciences and clean technology companies in North America. AvePoint's DocAve Content Shield Named KMWorld magazine "Trend Setting Product of 2012"
KMWorld magazine named DocAve Content Shield for SharePoint to its "Trend Setting Product of 2012" list. This year, more than 700 products were assessed by KMWorld's judging panel, which consists of editorial colleagues, analysts, system integrators, vendors themselves, line-of-business managers, and users. Inc. Magazine ranked AvePoint in the top 16% on its sixth annual Inc. 500|5000, an exclusive ranking of the nation's fastest-growing private companies. The list represents the most comprehensive look at the most important segment of the economy – America's independent entrepreneurs. AvePoint joins Yelp, yogurt maker Chobani, Giftcards.com, and famed hatmaker Tilly's, among other prominent brands featured on this year's list. The IT Europa "European IT Excellence Awards 2012" are the only pan-European software awards that recognise channel partnerships. These awards highlight those vendors, distributors and service providers who best support their channel partners to deliver excellence. KMWorld magazine selected AvePoint's DocAve Software Platform as a "Trend Setting Product of 2011" for clearly demonstrating technology breakthroughs that serve customers' specific business needs. Products were assessed by KMWorld's judging panel, which consists of editorial colleagues, analysts, system integrators, vendors, line-of-business managers, and end-users. KMWorld magazine selected AvePoint as one of the premier software providers on the list of "100 Companies That Matter in Knowledge Management" in 2011. For the second consecutive year, AvePoint rose to the top of more than 1,000 vendors offering services in the knowledge management space today with its dedication to understanding customer needs and delivering world-class technology meeting customers' specific, stringent business requirements. Deloitte LLP named AvePoint, the world’s largest provider of infrastructure management solutions for Microsoft SharePoint Products and Technologies, #79 on its 2010 Technology Fast 500™ List in North America and #5 in the Tri-State Area, which ranks the 500 fastest growing technology, media, telecommunications, life sciences, and clean technology companies in North America. AvePoint has been named to the 2010 edition of Inc. 500 List, which recognizes America's fastest growing private companies. The list spotlights the entrepreneurs whose business models and innovations have driven their companies to achieve unparalleled growth. With revenue growth of 714% over the past three years, AvePoint joins the ranks of Microsoft, Zappos, Intuit, GoDaddy, Zipcar, Clif Bar, American Apparel, and Oracle, who have all appeared on the Inc. 500 List in years past. DocAve was selected as a finalist for the 2010 Best of Tech•Ed Award for "Best SharePoint Product". This prestigious award, presented by Windows IT Pro Magazine and SQL Server Magazine, recognizes the industry's most innovative and effective SharePoint solution of the year. KMWorld magazine selected AvePoint as one of the premier software providers on the list of “100 Companies that Matter in Knowledge Management” in 2010. Out of more than 1,000 vendors offering services in the knowledge management space today, winners proved they are dedicated to understanding customer needs and delivering world-class technology that exceeds business-critical requirements of knowledge workers enterprise-wide. Deloitte LLP named AvePoint, maker of the world’s most comprehensive infrastructure management software solutions for Microsoft SharePoint, #96 on its 2009 Technology Fast 500™ List, which ranks the 500 fastest growing technology, media, telecommunications, life sciences and clean technology companies in North America. DocAve is proud to have won the 2008 Editor’s Best Award from Windows IT Pro Magazine. The magazine’s editors' utilize their in-depth product knowledge and subject matter expertise to identify the market’s most exceptional products, in 13 distinct categories. The DocAve Software Platform won the top award within the SharePoint category. DocAve was named the winner of the Best of Tech Ed IT Pros Award in 2008 for “Best SharePoint Product”. This prestigious award is presented by Windows IT Pro and SQL Server Magazine to recognize the industry’s most innovative and effective SharePoint solution, and was presented at Tech Ed North America 2008, in Orlando, FL. AvePoint co-founders Kai Gong and Tianyi Jiang were named finalists for the prestigious Ernst & Young Entrepreneur of the Year Award. This recognition is bestowed upon entrepreneurs who demonstrate extraordinary success in the areas of innovation, financial performance and personal commitment to their businesses and communities. Mr. Gong and Dr. Jiang were selected as finalists from over fifty nominees by a panel of independent judges. AvePoint was named best-in-class by MSD2D’s People’s Choice Awards for Best SharePoint Backup Solution from 2003 – 2006, at which point the award was discontinued. MSD2D is a leading online resource for the SharePoint community, and award recipients are chosen from among thousands of nominations worldwide. AvePoint was named an accredited place of business by the renowned Better Business Bureau. Companies must pass strict standards regarding trust, honest advertising, transparency, fulfilling promises, responsiveness, respecting privacy, and embodying integrity in order to gain membership to this elite group. The United States General Services Administration (GSA) provides a unified purchasing and contract structure to help agencies – public sector organizations at all levels of state, local, and federal government – meet its mission-critical technological requirements with high quality, state-of-the-art products and services. AvePoint is proud to be a multiple award schedule contractor for government organizations. The U.S. Army Network Enterprise Technology Command (NETCOM) has granted AvePoint’s SharePoint infrastructure management software solutions the Certificate of Networthiness. The U.S. Army requires that all external software, equipment, and devices managed by the U.S. Army must receive this designation. As a proud recipient of the Certificate of Networthiness, AvePoint serves as a trusted provider of software solutions that enable the Army to better protect, manage, and deploy its SharePoint environments. The U.S. Navy has added AvePoint’s SharePoint infrastructure management software solutions to the Department of the Navy (DoN) Application and Database Management System (DADMS) list. The DoN requires all external software, equipment, and devices managed by the U.S. Navy must receive this approval, authorizing the technology for use within the Department of the Navy. Each application on the DADMS list has been examined and put into compliance with the Navy's application reduction initiative. AvePoint proudly serves as a trusted provider of software solutions enabling the Navy to protect, manage, and deploy its SharePoint environments. AvePoint is proud to be a Microsoft Gold Certified Partner, representing the highest level of competence and expertise with Microsoft technologies, in addition to having the closest working relationship with the company to ensure products are specifically geared to integrate seamlessly with Microsoft SharePoint Products and Technologies.